Berlin is an extraordinary metropolis. In early 2014 it will boast yet another attraction, as the 25hours Group gets in gear to open a new hotel in the historic building ensemble Bikini Berlin vis-à-vis the Berlin Zoo. Under the direction of noted architectural firm Aisslinger, known for its work undertaken for de Sede, Foscarini and Vitra, the modern, upmarket hotel promises excellence at an entirely new level. In the style of other 25hours establishments guests here will find the familiar design in every detail. Nestled between the dynamic Breitscheidplatz with the Gedächtniskirche (Memorial Church) and the Kurfürstendamm on one side and the Zoo on the other, the 25hours Bikini Berlin effectively forges a bridge between vibrant city and green oasis. The bathrooms of 22 suites will be styled with innovative product highlights supplied by premium manufacturer Kaldewei. Along with bath icons such as Classic Duo Oval Wide and Conoduo, all fitted with user-friendly electronic controls, the hotel’s design team opted to add Kaldewei’s bath audio system Sound Wave as a forward-looking new system to the bathrooms of the 25hours Bikini Berlin. It allows music and other audio files to be played via Bluetooth with the bath acting as the sound box to provide guests at the 25hours Bikini Berlin with a relaxing experience as they immerse themselves in their favourite tunes. 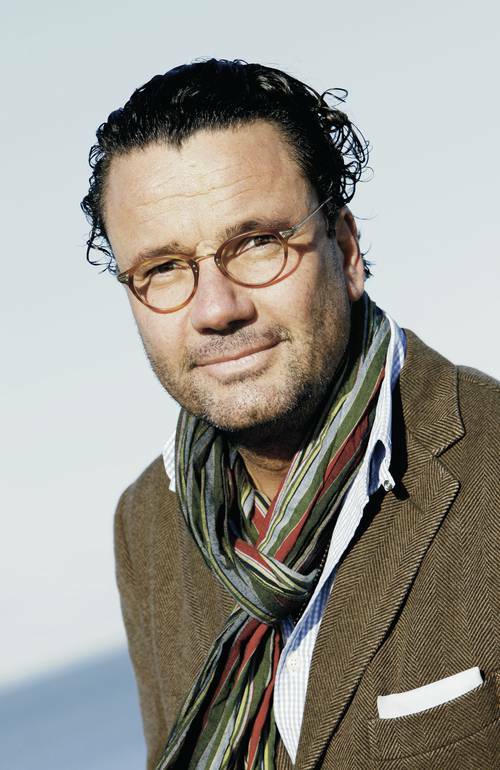 In an interview Christoph Hoffmann, CEO/partner of the 25hours Hotel Company, gives insight into the origins of the new 25hours Bikini Berlin. 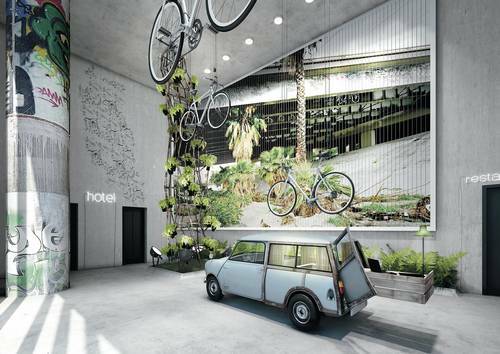 Why did you choose the Bikini Berlin ensemble as the address for your new hotel? What, would you say, makes up the ideal bathroom of a hotel – from the viewpoint of the guest, but also the operator? What tipped the scales in your decision to use superior Kaldewei products for the 25hours Bikini Berlin? Christoph Hoffmann is delighted with the successful symbiosis of the 25hours Bikini Berlin and Kaldewei. In early 2014 the 25hours hotel will be opening an establishment in the historic Bikini Berlin building ensemble. 22 suites of the 25hours Bikini Berlin will be fitted with superior Kaldewei baths featuring state-of-the-art equipment – Comfort Select electronic controls and Kaldewei’s new bath audio system Sound Wave are the future of convenience and musical entertainment. 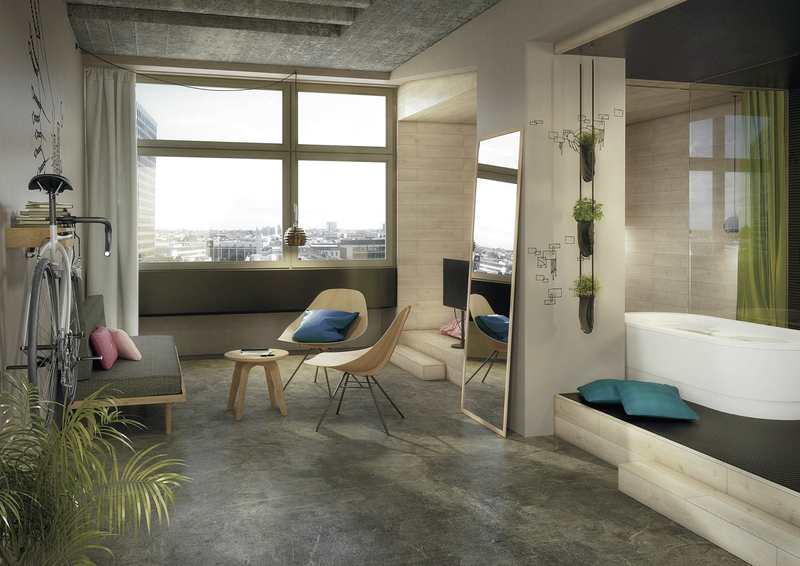 The Comfort Select controls and the innovative bath audio system Sound Wave are set to enhance the comfort in 22 suites of the 25hours design hotel Bikini Berlin. 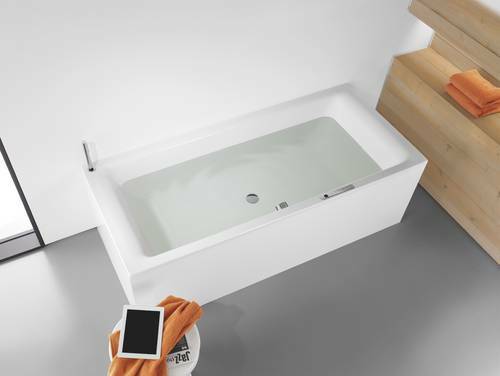 Sound Wave allows music and other audio files to be played via Bluetooth with the bath acting as the sound box. The Comfort Select control panel conveniently enables adjustment of the water temperature at the tip of a finger precisely to the desired degree and digitally regulates the water inlet and outflow.